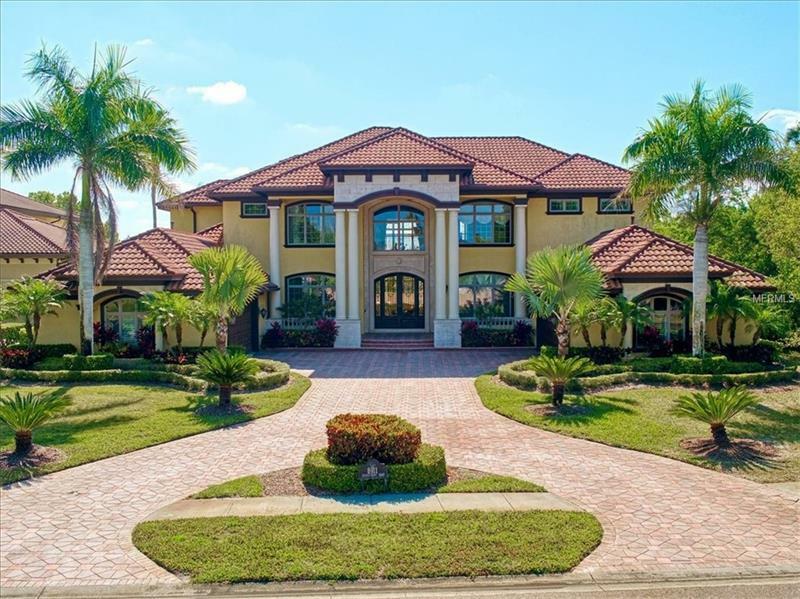 THIS EXQUISITE WATERFRONT TUSCAN PALLAZZO ENCOMPASSING 9934 TOTAL SQ.FT. OFFERS BAYOU INTRACOASTAL & GULF ACCESS.The story begs to be told so here goes...Imagine building your custom dream home by no less than the impeccable Monogram Builders known for their artisan crafted and masterpiece creations. Now imagine having to sell this bespoke home only to have the opportunity to buy it back and recapture the inherent grandeur and timeless Tuscan aesthetic that you inspired and re-created oh so very well. Sited within the geographically enviable Bayou Club which accesses every part of Pinellas County within a 15-20 minute commute the locale is ideal situated on the single largest lot (3/4 of an acre) on the prestigious "Cay" which enjoys a blue print of only 9 homes on the Bayou this home further distinguishes itself by being one of only three with a dock on the Bayou. Resting alongside a preserve with the bayou in the back and no neighbors in the front affords you a scope of space seldom encountered. The appointments are what you had hoped for but more...Solid wood beam and pecky cypress ceilings triple crown mouldings venetian plaster walls authentic Tuscan brick arched doorways custom Olde World cabinetry and built-ins miles of stone counters Saturnia floors legendary appliances inclusive of Subzero Dacor heirloom Tiffany and wrought iron lighting and fixtures Etruscan listello borders master carpetners mill work thru-out and the list goes on...BRING YOUR MOST DISCERNING CLIENT.